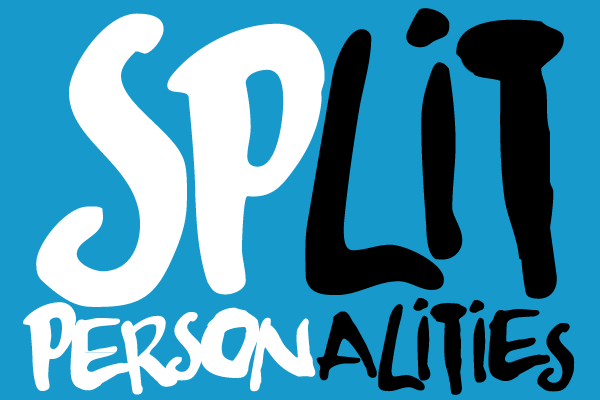 Split Personalities - Is this the graphic future for splitboards? 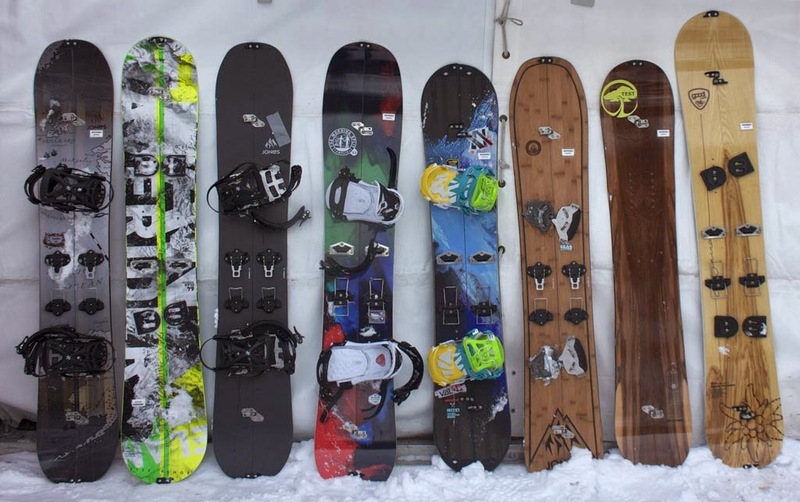 Question: Here's a row of new splitboards produced by a variety of companies (Amplid, Arbor, Elan, Goodboards, Jones and Völkl). Can you see what they all have in common with non-split snowboards for no practical reason? At any distance, if you look at a variety of snow riding devices with different features, you can tell them apart. You can easily see the difference between a snowboard and skis, skis and snowblades, or a snowboard and a dual snowboard. But you can't see the difference between a splitboard and a snowboard, you can't clearly see the key feature that makes a splitboard a splitboard. At the same time, from a distance you can see the difference between a jib board and a powder board. For those two types of snowboard there is a small difference in shape and size but the really obvious difference is in graphics. Jib boards are resplendent with bright colours and big graphics, whereas powder boards tend towards more conservative, cleaner graphics that veer towards the earthy side of things. There's a good reason for the difference. The people that use the two types of boards are different, they want boards that reflect that difference and over time the graphics have developed to reflect this. Splitboards though look just the same as any other powder board. If splitboards had been invented before snowboards they wouldn't look just like snowboards and they'd have made more of a feature of their key feature. Splitboards should have split graphics. Across the years splitboards have been around the closest anyone has got to doing this is the you-probably-didn't-even-notice-they'd-tried subtle difference the Burton Freebird had this season, or a basic colour change like you see on the base of some of the Jones boards. It's a bit strange that no one has really gone with it and made it a strong graphical feature. It's a product that's calling out for a strong and unique graphical difference to go with it's unique functionality. A split design wouldn't add anything to a standard snowboard and no one is begging for the odd skis aesthetic for a reason. This is a graphic style that only makes sense on a splitboard, so it's something that will remain unique and can be developed further over time. The first company that does it would have a really stand-out product in a rapidly growing market and all it takes is a bit of colouring in. Burton split their bases graphics, one black, the other one white. or maybe is it that once splitted, brands are affraid their products would look like skis ? The old Burton Split 66 I had (2002-3ish) had defined colors left/right. Realy love your storys and I also see the point in the bi-colored splitys... But with your introduction you're pretty wrong this time. The cowboy was the first to split his board in two? Hell no! A Swiss guy named Ueli Bettenmann did that in the mid 80ies - same as a bit later Stefan Schiele from Bavaria/Germany who did tow and three partet splitys. Long bevore the cowboy tried his ride! Check the patents. Uelis system came to the market (not only prototypes) in 92 together with Nitro and Fanatic Snowboards. I'm still writing on the splitboard history but whem I finished both pages ;) I'll let you know! Sounds like the perfect length of book. I looking forward to learning more.